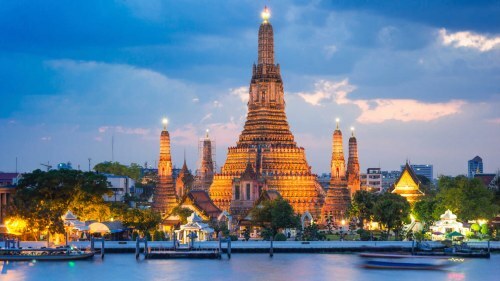 United Airlines and ANA (All Nippon Airways) have dropped the price of a few of their January 2019 flights from Edmonton to Bangkok, Thailand down to $529 CAD roundtrip including taxes. For quite a while now, they've been offering flights for this price mainly for travel in May and June 2018. But now they're offering some for January 2019 - yes, these flights are nearly a year away from now. 2 Responses to "Edmonton to Bangkok, Thailand - $529 CAD roundtrip including taxes | January 2019 now available"
Chris, is this a correction of the deal you posted yesterday as a YEG-NRT circuit? Is it possible to change or increase the 'layover' in Tokyo instead with these fares?